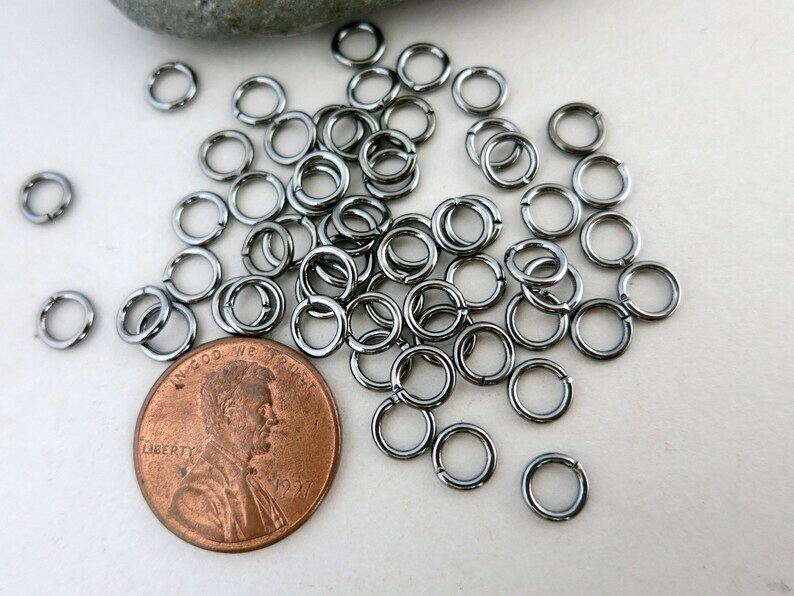 This listing is for 100 Gunmetal Jump Rings that are 4mm 19G lead and cadmium free base metal plated. Perfect. Thanks again! Love this shop! Perfect! Just what I wanted! Thank you!! BALL CHAIN CONNECTORS - You get 10, 2mm and 2.4mm chain, Choice of Finish, Ready to Ship!